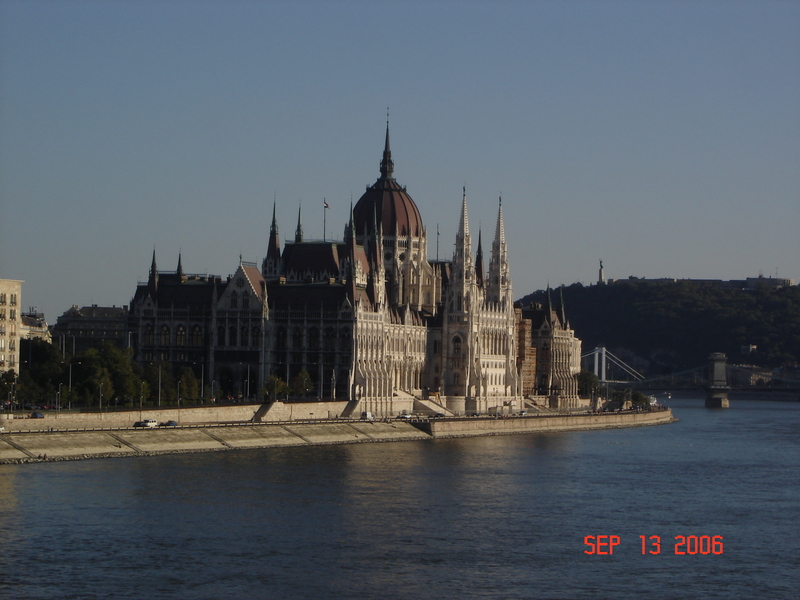 A good place to begin a promenade around Pest is down by the Danube, with the totally unmissable star of this side of the city, the immense, neo-gothic Hungarian Parliament, on Lajos Kossuth Ter. Measuring 268 by 116 metres, it has some 20km of staircases winding through its interior, 233 statues adorning its exterior and a giant 96 metre dome. The building was designed by Imre Steindl. Construction began in 1884 and was completed in 1904. Its frescos are the work of some of Hungary’s most notable artists, among them Karoly Lotz and Mihaly Munkacsy. 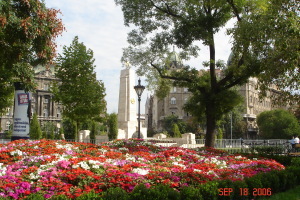 To the north and south of the Parliament are statues of the poet Jozsef Attila and Count Mihaly Karoly who headed Hungary’s first Republic in 1919. In front of the Parliament building, are the statues Lajos Kossuth, leader of the 1848-49 revolution and Ferenc Rakoczi II who led the failed War of Independence 1703-1711. On the other side of Kossuth Ter is the beautiful neo-baroque Ethnographic Museum. Constructed in 1896 as the seat of the Royal Court, it later became the Palace of Justice. Inside is a massive hall with pillars stretching over several stories, stained glass windows and a superb Karoly Lotz ceiling fresco. The museum’s collections give a fascinating insight into life, especially village life, in Hungary through the ages. 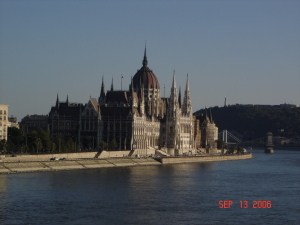 Further down the river, on Roosevelt Ter, sits the magnificent neo-renaissance, Hungarian Science Academy. Built between 1862 and 1865 it was the brainchild of Istvan Szechenyi, whose name and mark are on many of Budapest’s great 19th century ventures. Also on Roosevelt Ter is the art nouveau Gresham Palace, now a Four Seasons Hotel but built originally in 1903 by Szigmund Quittner for the Gresham Life Insurance Company. Further down again is Petoffi Ter, which was named in memory of the poet who inspired the 1848 revolution against the Austrians and which has been the scene of many memorable demonstrations and protests ever since. All along the promenade chic restaurants and bars (some on jetties and moored boats) provide stunning views, especially at night, across the Danube to Buda Castle and the Statue of Liberty on Gellert Hill.